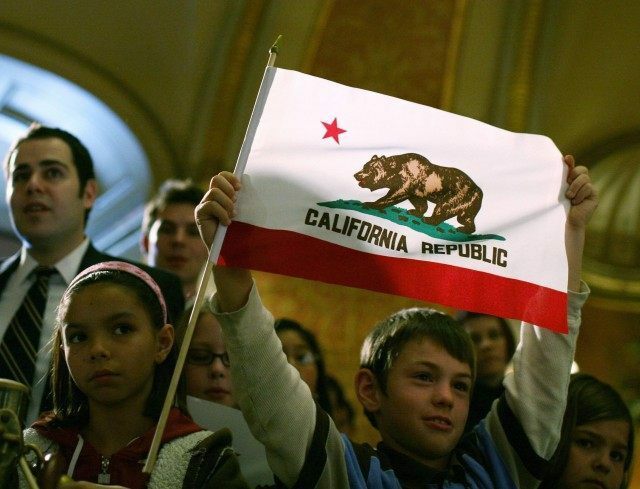 The separatist movement known as CalExit, which gained favor among some California liberals in the wake of President Donald Trump’s election last November, is officially dead. For now. CalExit founder Louis Marinelli has officially emigrated to Russia, and Marcus Ruiz Evans, the official proponent of the 2018 California ballot initiative to secede from the union, has formally withdrawn the proposal, according to a report in the Los Angeles Times on Wednesday. Marcus Ruiz Evans, the initiative’s official proponent, sent an email Monday to the secretary of state’s office asking to cancel his initiative. State election law allows a proposed ballot measure to be recalled for any reason, as long as it happens prior to 131 days before the election. But to do so, Evans must submit a signed letter — which has yet to be received. Evans’ initiative would have asked voters next November to call a special election in March 2019, at which time they would be asked to vote on formal secession from the U.S. Whether voter approval could have actually turned California into an independent nation was a source of debate by constitutional experts, with some saying there was no currently operational method for a state to do so. The U.S. Constitution only lays out the steps for a state to join the union. Evans reportedly plans to resurrect the idea later this spring. However, California’s Democratic Party leaders have repeatedly urged their supporters not to consider secession as a viable political option. One reason is the state’s continued dependence on the federal government. Governor Jerry Brown has asked for, and been granted, emergency relief funds four times in President Trump’s first several weeks in office alone.